(2014/Western Star) 25 tracks, this album includes 24 alternative and unreleased tracks by Jack Rabbit Slim fom 2004-2014! 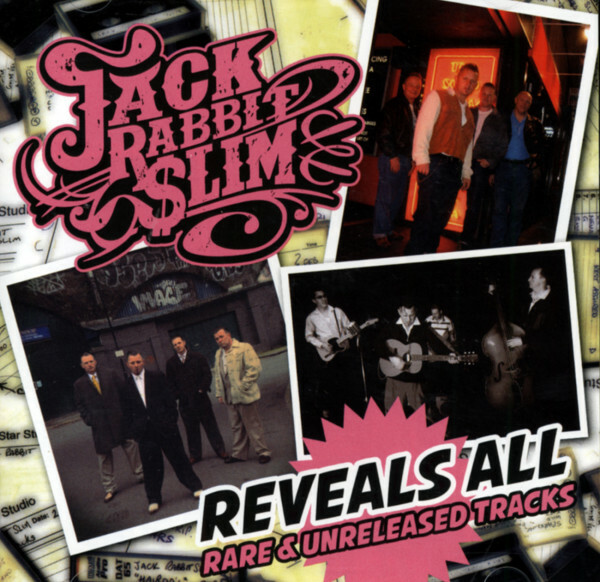 Beside the fact that the CD is musically fantastic from the beginning to the end, the booklet tells about the whole 'Jack Rabbit Slim' story and every single track on this album is commented by Bob Butfoy, the founder of Jack Rabbit Slim! With this CD you can finally complete your Jack Rabbit Slim collection and will have everything from them, if you've already bought their other albums! Highly recommended and a well-wrought release all the way! Kundenbewertungen für "Reveals All - Rare & Unreleased Tracks"